Learn everything you need to know about your 22 month old toddler. Track important developments and milestones such as talking, walking, growth, memory & more. For your young toddler, life is still a lot about "me," making her an unlikely candidate for close friendships at this age. Don't feel bad about it -- sure your kid is self-centered, but so are her peers! This typical behavior often leads to what the experts call parallel play -- children playing near each other in the same area, but not necessarily interacting with each other. 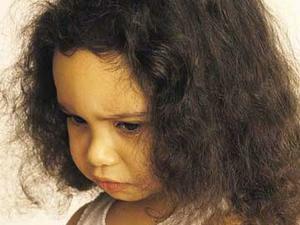 What if your toddler is too shy to even participate in a playgroup? Start by accepting that your child is her own person, and being shy doesn't have to be a strike against her. There's no need to compare her to her peers, as this only makes her feel bad about herself. Let her know when there is a social situation ahead ("Jack is coming to play today and his mommy will be here too.") so she's not caught off guard. She might find that having a lovey with her or favorite teddy puts her more at ease when she feels anxious. Then, encourage her and give her plenty of love and support and she learns to navigate the world outside her comfort zone. What Are Your Toddler's Traits? Little kids grow at their own pace and reach developmental milestones at different ages. Parents know that not all toddlers begin walking or talking at the same age, and that's okay, but what if your child seems particularly late in hitting communication milestones? The first step is to trust your intuition and talk to your toddler's pediatrician about her language development. He might reassure you that your toddler is learning slowly but still within the "normal" time frame for communication skills -- or he might direct you to have your child evaluated by a speech therapist. Additionally, the pediatrician will want to test your tot's hearing, since trouble with the ears can sometimes lead to delayed speech. Talk often -- and read often -- to your child. She's listening and learning as she hears the words you use and how you combine words to form sentences. Be sure to point out objects around you at home, the park, the grocery store -- wherever you go. 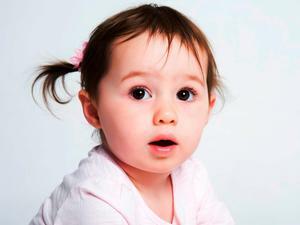 See if your tot can point out things familiar to her, such as body parts, her favorite fruits, or a bird in the sky. And if you're reading a story, ask her questions about the book and give her a chance to respond; nonverbal responses such as pointing out a particular character or nodding her head are important for communication too, but see if you can't get her to verbalize her thoughts sometimes. Recognizing and treating speech problems early is optimal for helping toddlers with speech delays. Don't panic if your toddler does need professional help; ask the therapist what you can do to help your little one, and most likely she?ll be communicating better soon. It's the earth-loving trend that's here to stay: going green. We know it's important to be environmentally responsible, but the idea of going green can be overwhelming if you're not sure where to start. Just remember, even seemingly small changes can make a big difference. There is plenty you can do to contribute to a healthier planet for your child's future. A good start is to consider all the disposable items your family uses each day and whether they can be replaced with reusable or more environmentally friendly substitutions. Refillable water bottles, cloth sacks to carry groceries, washable cups in the bathrooms, and energy-efficient light bulbs are all smart options that aren't hard to implement into your lifestyle. On a larger scale, take a look at modern, more efficient washing machines, refrigerators, and dishwashers next time you're shopping for large appliances; using them is better for the earth and saves you money over the long run. Consider buying food locally when possible. Shopping with your toddler at a weekend farmer's market, for example, supports your community's economy and allows you to serve fresh food for your family. Of course eating fruits, veggies, and herbs grown in your very own garden is the best way to know exactly how your organic produce was raised -- and besides, what's better in the summer than a juicy, red tomato from your own backyard? This is a great time to teach your toddler about conservation. She can learn not to run the water more than necessary when brushing her teeth and that it's important to turn out the lights when leaving a room. And of course, don't forget to teach her to recycle! Plastics, paper, and aluminum all can be reused to make a better world for our children's generation (and beyond). 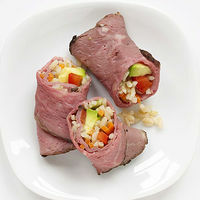 Serve up these yummy bites for an easy dinner. Could Your Child Have a UTI?